If you are thinking about starting your own website, the first thing that comes to your mind is what are all the things you need to create your website. If you had made a quick search on Google, you would have realized that you need a domain name and a good web hosting plan. Picking a domain name shouldn’t be a tough job if you know how to pick the perfect domain name for your site. Choosing a good web hosting plan is another important aspect of creating and managing a successful website. When you have a rock-solid web hosting plan for your website, you needn’t worry about website maintenance, performance, and downtimes which can seriously affect your business and search engine optimization activities. It also causes frustration among your followers and casual website visitors. If you are planning to create an eCommerce website or online store, you should definitely do a lot of research before you pick the perfect web hosting plan for your business. Nowadays, there are many different types of WordPress hosting plans and servers available such as free hosting, shared web hosting, dedicated server hosting, VPS hosting, managed WordPress hosting, cloud hosting, managed WooCommerce hosting, reseller hosting, enterprise hosting, etc. There are so many different types of web hosting services that the normal user often feels confused with which is the best-suited web hosting plan for them. I have helped many people to build their sites on WordPress and I know the importance of having a good hosting service. In this article, I will let you know how to choose the best WordPress hosting services along with my recommendations for an added benefit. WordPress is a PHP application and relies on a SQL database to store information. WordPress is not resource-heavy and you don’t need a powerful server to host WordPress. WordPress can easily be hosted on any server from any of the popular web hosting companies. NOTE: WordPress also works with PHP 5.2.4+ and MySQL 5.0+ but these versions have reached their official End Of Life and may expose your site to security vulnerabilities. Since WordPress is one of the most popular applications out there, almost all the hosting companies offer the famous 1-click installation of WordPress via their auto installer software (ex: Softacoulous). The most important factors that you need to consider before choosing a web hosting provider are reliability, site speed, customer support, security, and costs. The web hosting company should be a reliable name in the WordPress community, should have good servers which are stable, should have an excellent customer support team and should take proper measures to prevent any sort of hacks and DDoS attacks on their web servers. If the web hosting company is reliable, it means you can bank on them and you won’t be plagued with unnecessary downtime and problems in the future. When choosing a web hosting provider, you should always look at their customer support ratings. You never know when your site will go down and if that day comes and the customer support is ridiculous, that would be a pain. So, it is better to save yourself from all the unwanted drama by properly researching about the hosting company before going with them. What good is a web hosting company if they can’t take care of their hosting servers? Sure, hacking happens all the time and hackers are always coming up with new techniques to compromise web hosting servers. It’s mainly because they can demand millions of dollars in ransom to return access to those files. But not all hosting companies are going to pay that amount or try to retrieve those data. If there are no proper mitigation and recovery plans in place, everything is going down the drain and you will be left with nothing. Most of the popular web hosting companies act responsibly nowadays and you needn’t worry when you go with them. There are so many companies out there which offer free web hosting plans for your WordPress site. Servers used by these free web hosting providers are not very reliable and may crash anytime leading to severe downtime. I would definitely not recommend you to go with free web hosting plans if you are serious about your website. Many free web hosting providers don’t offer proper support (obviously because you are not paying them anything), suspend your site for using more server resources, and host your website on their servers along with other spammy websites. This may lead to getting your website penalized by search engines like Google. Once you get your domain blacklisted for sharing web space with illegal websites, it’s a bit hard to recover from that penalty. Web hosting is a costly business and you should always try to analyze why someone would agree to host your website for free. Anyway, of all the free web hosting companies I’ve tried, I found 000webhost.com to be the best. Shared web hosting service is the most popular web hosting plan in the industry and it doesn’t burn a hole in your pocket. It is suitable for people who have just started blogging and for websites which doesn’t get much traffic. In shared web hosting plans, numerous sites are hosted on the same server. Since they are all physically hosted on the same server but separated through virtualization, it is possible for these companies to offer web hosting plans at an affordable price. It is strictly for websites which are starting out new or doesn’t have much content or visitors. Once your site starts growing and starts receiving more traffic, you will be forced to upgrade to a better plan to suit your website’s new resources requirement. If you don’t upgrade your hosting plan to provide your site with more resources, it may get suspended temporarily till you upgrade to the next best plan on their offering. 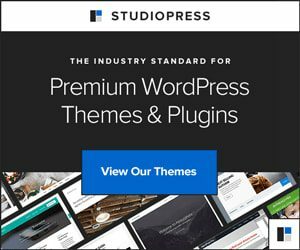 I would recommend SiteGround any day for helping you get started with your first website. VPS hosting or Virtual Private Server hosting gets its name from the virtual machines used to power this type of hosting service. In VPS hosting, a single powerful physical server is partitioned virtually into separate servers and is sold as unique private servers to the customers. You will get all the tools you need to control and tweak your virtual server’s configuration to suit your needs and this does not affect or interfere with other virtual servers configured over there. VPS hosting is suitable for small to medium-sized businesses, popular blogs, magazine sites, and for developers who want more control over their site. Using VPS hosting, you can scale your website anytime to withstand unexpected traffic surges. For example, when your article goes viral on Reddit or some large publication decides to link back to one of your articles. For VPS hosting, I would recommend you to go with DreamHost. In dedicated server hosting, you can purchase a separate physical server on lease from the hosting service provider and do whatever you want with it. You will get all the power you need to design a mean machine to host your websites. You can choose which operating system to install on it, what additional frameworks you need, manage hardware specifications, tweak it to the core, do modifications, etc. Dedicated server hosting is not suitable for everyone as you need to have some experience managing a server or hire someone who can do it for you. Dedicated server hosting is suitable for websites and blogs which receive extremely high traffic. For example, blogs which share viral content, news sites, popular resource sites, medium to large-sized businesses, etc. If you have got no technical experience on managing servers, you should opt for managed dedicated server hosting so that someone from the hosting company can manage and maintain the server for you. Also, they will monitor your system status, perform updates, troubleshoot if something goes wrong, help you in times of crisis, etc. For the best managed dedicated server hosting experience, go with Bluehost. WordPress now powers around 32 percent of all the websites on the internet. This is huge compared to other technologies and frameworks used to design and develop websites. This lead to many web hosting companies offering managed WordPress hosting services along with their regular web hosting plans. As the name suggests, you can host WordPress only on this special category of web hosting services. Everything in the server environment is optimized for WordPress and you needn’t worry about anything. You can just focus on creating new content and managing your business peacefully. They manage all the technical and not-so-technical aspects of managing a website for you while at the same time making sure it loads in an instant, is secure and always protected, scalable, protected from known vulnerabilities and hackers, etc. Almost all of the managed WordPress hosting companies offer real-time or daily backups and help you recover your site in case anything goes wrong, be it a simple white screen of death due to plugin/theme incompatibilities or hacking and malware infection. Managed WordPress hosting companies offer you highly experienced support staff who are knowledgable in WordPress. You needn’t spend hours trying to explain what the problem is to them as they will be able to recognize your problem instantly. Moreover, your website will be monitored 24/7 and if anything goes wrong, they will quickly jump into it and help you fix it. Since everything is managed by them for you and they offer you a hassle-free experience, the pricing is quite on the high side for these plans. If you are just getting started with WordPress, you can safely stay away from managed WordPress hosting plans. Managed WordPress hosting is great for bloggers, affiliate marketers, designers, agencies, and businesses who need peace of mind without worrying about their website. My choice of recommended Managed WordPress host is Kinsta. Thus I hope that this article helped you in understanding how to choose the best WordPress hosting service for your website. Also feel free to check out my other posts on all things WordPress. You’re welcome, I’m glad that this post was of some help to you. In case you didn’t know, I’m pretty good at developing sites using WordPress. So, if you need any help along feel free to ask. Should I register with the one you mentioned hostinger for a free domain? Hostinger is a free hosting company which I do not recommend at all if you are serious about your blog. If you go for Bluehost or SiteGround, you will be getting a free domain name for your site. Else, you can register your domain name separately at Namecheap for an affordable price. I’ve compared so many different companies at this stage, I’m wondering what your opinions are of WPX Hosting? They seem to offer a lot of services without charging anything extra for them (SSL, email, multiple domains, etc) and are reportedly much faster and with better uptime than some of the more famous companies. Have you heard of them? Would you recommend them? They do look good. But you should also consider the factor that their basic plan starts at $25 per month which is not worth the price as the bandwidth usage is limited to just 50GB when compared to Flywheel which offers a whopping 250GB bandwidth usage for just $15! Hey Anto, its really an awesome article. Great information. Thank you Vijay, glad that you found it informative. Thanks for the suggestions. I’ve changed many hosting companies and I noticed that hosting multiple WordPress sites under $20 is nearly impossible. 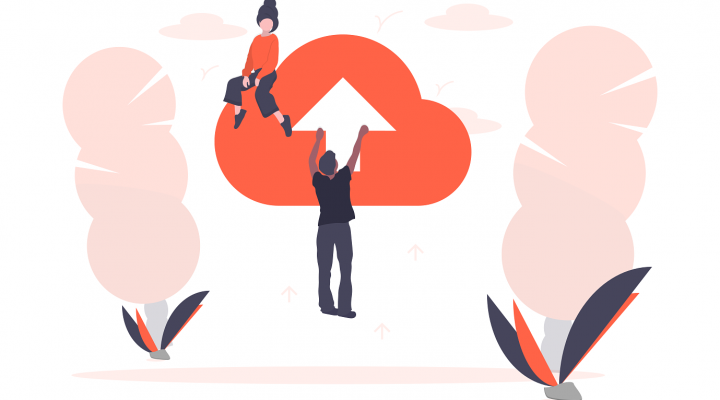 I noticed many problems when using “unlimited shared hosting” as well as some cheap VPS hosting plans, so investing some money in quality hosting is highly recommended. FYI, I am with Rosehosting and I am using their basic VPS plan which suits my needs perfectly. There’s one thing I would like to say – if you need a good web hosting service, be ready to spend a good amount of money on it. Hello Marven, I’m glad to hear that you found my article helpful in choosing the best hosting for your WordPress site. You are welcome by the way.